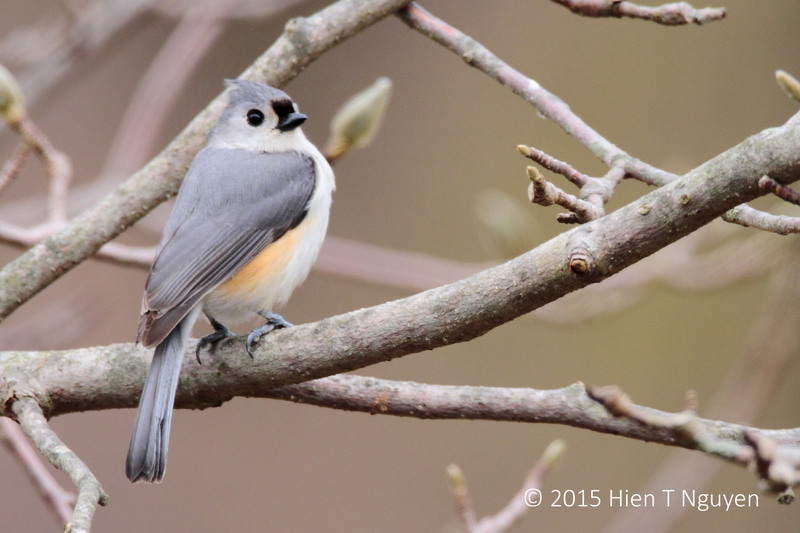 The Tufted Titmouse is a regular visitor to our bird feeder all year round. 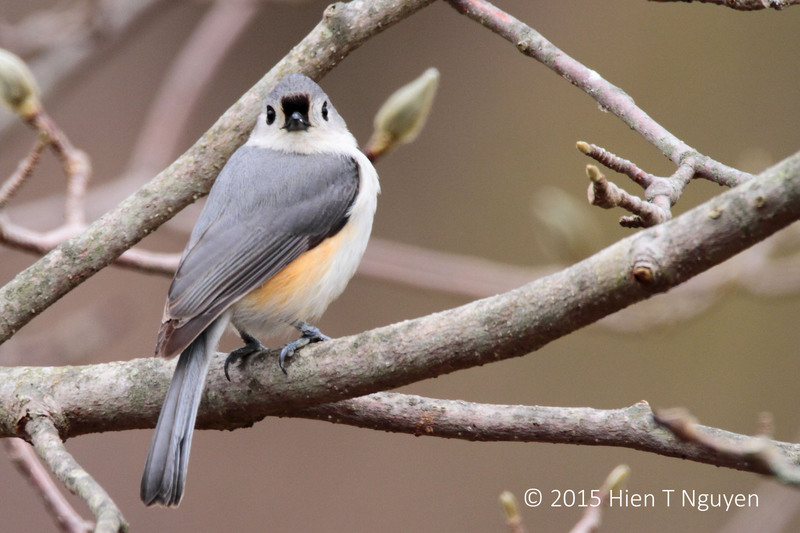 They look very cute with their big eyes and serene disposition, and they don’t fight like Juncos always do. This year I was able to get some close shots as shown below. Once a Tufted Titmouse grabs a sunflower seed from the feeder, he or she (I can’t tell) takes it to the nearby magnolia tree and spends a few minutes trying to open it with their small bill as you can see in the following photo. You are so lucky to have this bird as a regular visitor 🙂 Beautiful photography subject! 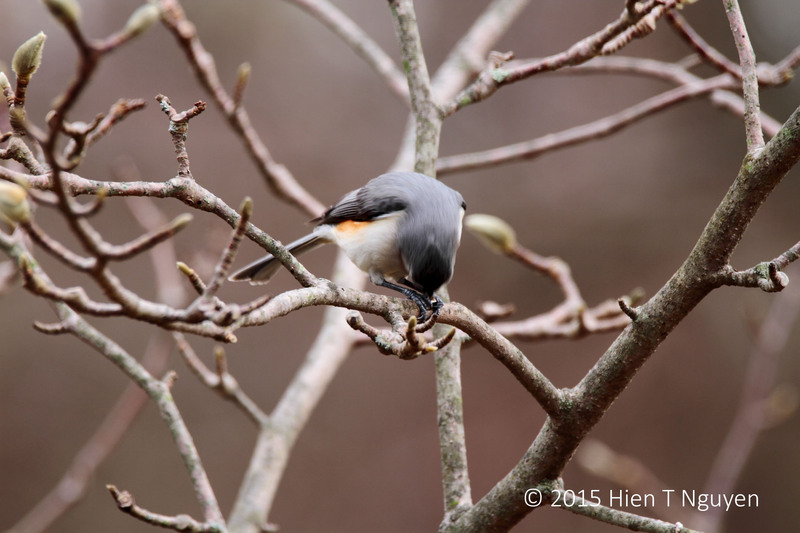 Gorgeous bird with lovely rich plumage Hien! Another lovely posing bird. So vivid!